Recent reports prove a trend toward more ultraviolet-linked skin cancers arising on the left rather than the right side of the body in the United States. 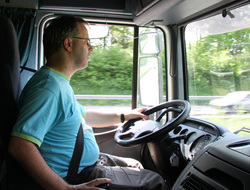 This is due to extensive exposure while driving, especially those who drive for a living. UV rays cause damage to your skin and eyes, potentially causing cancer. Window tint can block 99% of these rays, protecting you, as the driver, and the ones you love. UV rays can also cause damage to the interior of your car by fading and cracking your vehicle's upholstery. 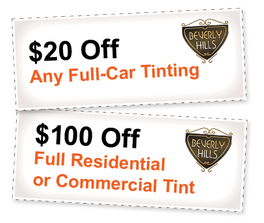 Window tint has the ability to lengthen the lifetime of your vehicle by protecting your interior and saving you hundreds of dollars. The Saint Louis University School of Medicine team presented their work to the American Academy of Dermatology, of their study of skin cancer and its relationship to time spent in a vehicle. Please read the BBC News article for more information about the seriousness of UV exposure while keeping in mind Llumar's window tint blocks 99% of all harmful UV rays. With our customers best interests in mind, we use only the highest quality films. You can choose from LLumar and Vista films. LLumar films come with a lifetime warranty. Applying window tint can stop heat and glare from intruding into your vehicle, providing a more comfortable and enjoyable drive for both driver and passenger. This will keep your vehicle cool in the hot Florida weather. As you can see from the film specification sheets Llumar's ATR Film keeps out a large amount of the heat We carry the 30%(lightest) with a 46% heat reduction, the 15%(medium ) with a 50% heat rejection, and the 5%(darkest) with a 63% heat rejection. Nothing can be more dangerous than a blinding glare. 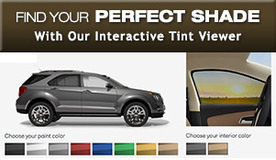 Tinting your windows can block that annoying glare, providing a clear view of the road ahead. In addition, the adhesive and film will keep shattered glass together in the event of an accident. This will help to prevent and reduce injuries from flying glass particles and protect those closest to you in and around your vehicle. Call (239) 489-3838 in Fort Myers or (239) 592-5536 in Naples or contact us online for more information.